Despite the rugged individualism that is at the heart of much of our culture, the fact is that God created us to work with others and that teams can accomplish more together than their members could individually. Mark Lewis and I have been friends for four years now. He is the director of TouchGlobal’s Crisis Response and leads the mission’s compassionate outreach in crisis for the whole world. I lead the work of the mission for Latin America/Caribbean. Each of us has a claim to what the mission does in Haiti, and each of us have fairly strong personalities and leadership capabilities. It would be easy to start competing and undermining each other which would result in a diminished ministry for all involved. But this is where the example of Christ must be examined. Things like serving one another, looking to one another’s needs, submitting our own ambitions and desires to each other and living in an environment of trust. This does not mean we don’t disagree, but it does mean that when we do, our relationship is never at stake and that we trust the other truly wants the best for me. 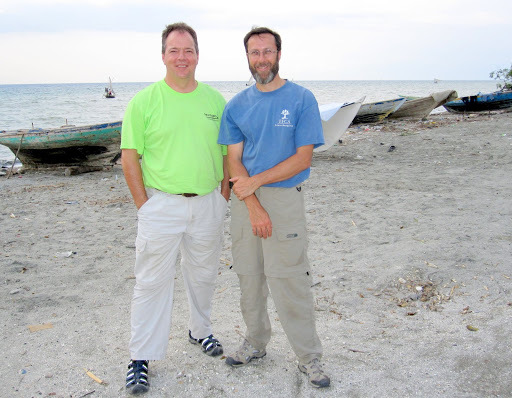 We are exploring new territory by having both our ReachGlobal staff and TouchGlobal staff work side by side. We still don’t know what it will look like ultimately, but we do know that each of us is commited to the mission of our organization and to working together as team. Maybe we can even demonstrate a bit of Christ as we do it.